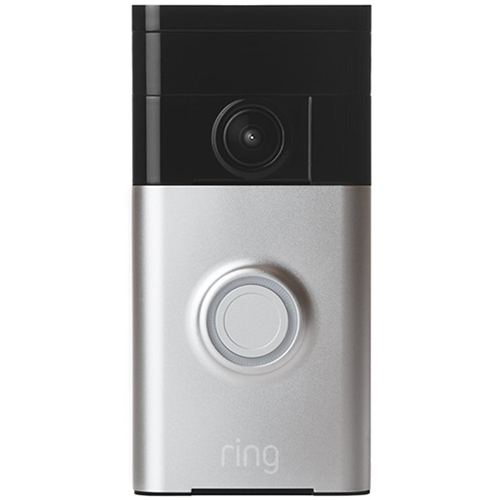 Home security just got easier with the Ring™ Doorbell Video Camera. 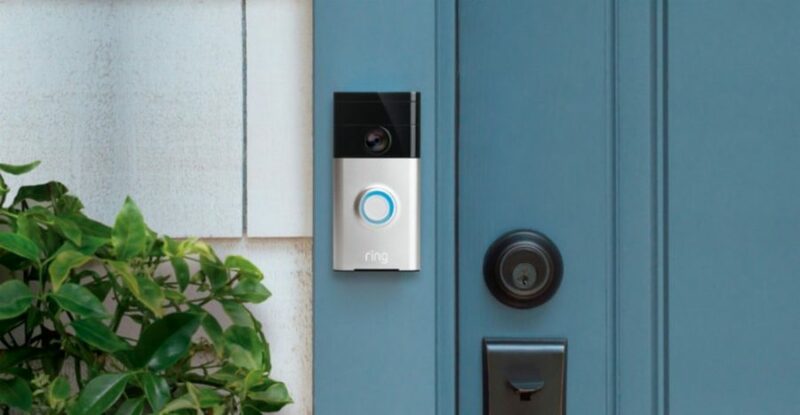 It looks and functions just like a normal doorbell, but with the added benefit of having a WiFi security camera inside of it. 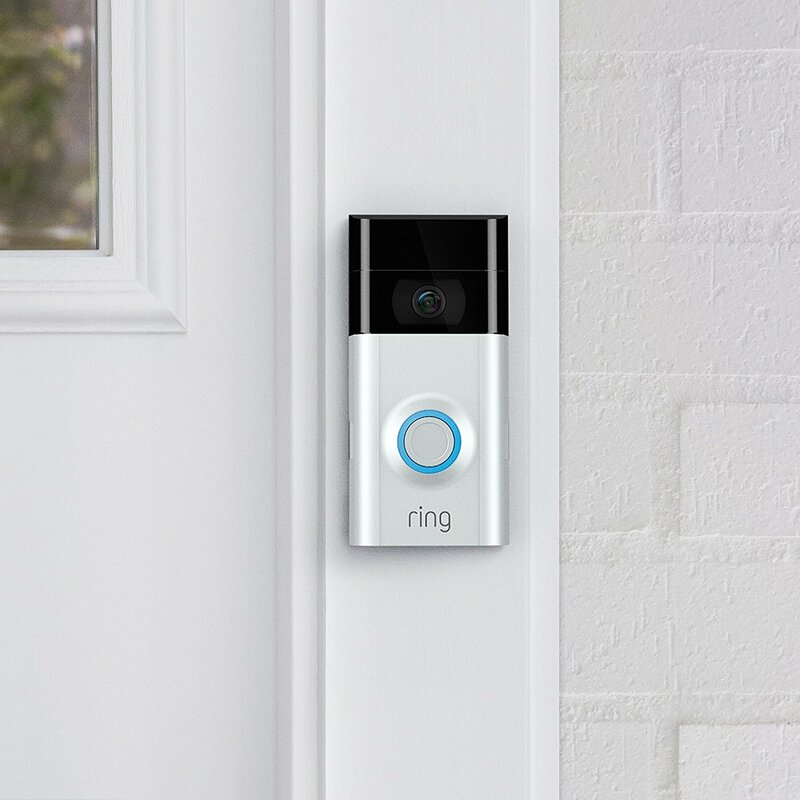 The camera syncs easily with your wireless network to send live video feeds directly to your smart devices via the “Ring Video Doorbell” application. 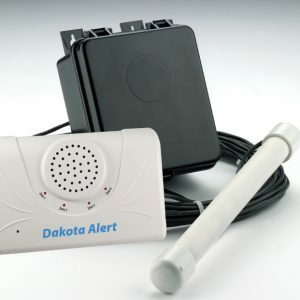 Whenever the doorbell is rung or the motion sensors are triggered, you will receive an app alert and you will be able to see who is at your door without having to even move. 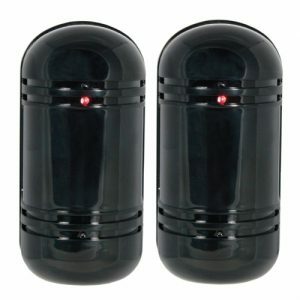 You can also customize the motion detection zones with a max range of thirty feet. Video footage is streamed in crystal clear HD 720p resolution and the camera has a 180° field-of-view, so you can cover a large area. The camera even has infrared sensors built into it, which allows nighttime streaming as well. 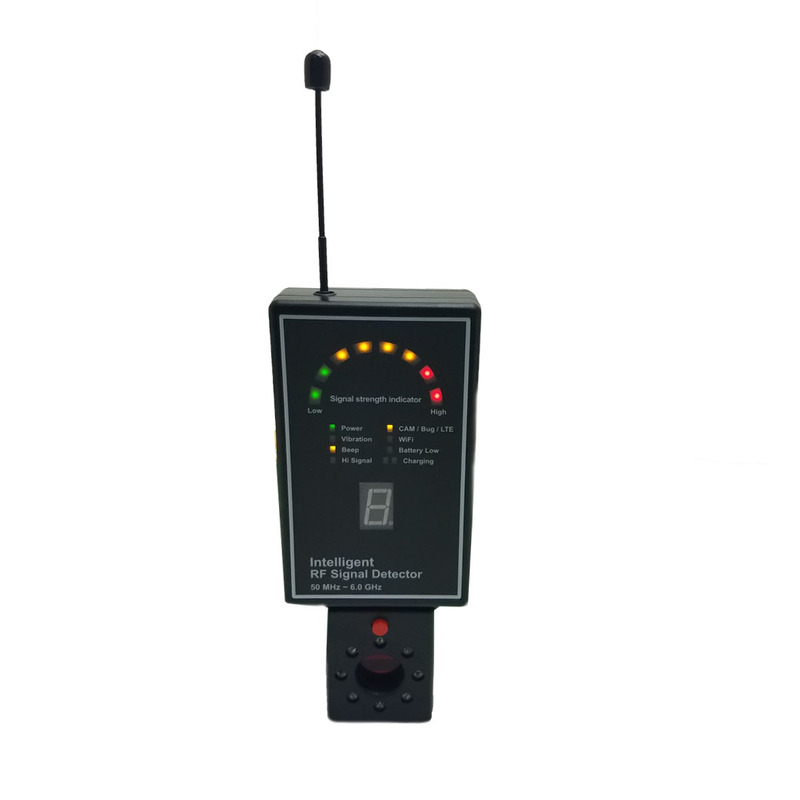 Additionally, it has a speaker too that provides a two-way audio feature, so you can speak to visitors, wanted or unwanted, through your smartphone. Power for the doorbell camera is provided by either the internal rechargeable battery or with pre-existing doorbell wiring. Lastly, all mounting hardware and tools are provided and a Micro USB charging cable is included as well for easy recharging. All-in-all the Ring Doorbell is one of the best ways to keep your home safe. It has a high-quality video camera that will capture detailed video footage. 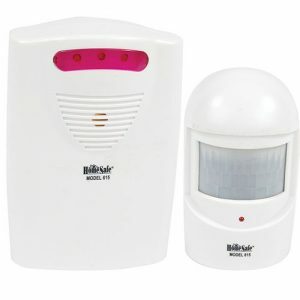 It will help to protect you as well as your loved ones and will ensure safety as it can scare potential threats away. With the free app, you will always be able to get notified whether someone is at your house or not. Stop potential threats from entering your home or office, keep your family, friends, or co-workers safe. As a rule of thumb, safety should always come first.